Portrait Of Beautiful Woman In Black Dress Peeking Through A.. Stock Photo, Picture And Royalty Free Image. Image 113597915. 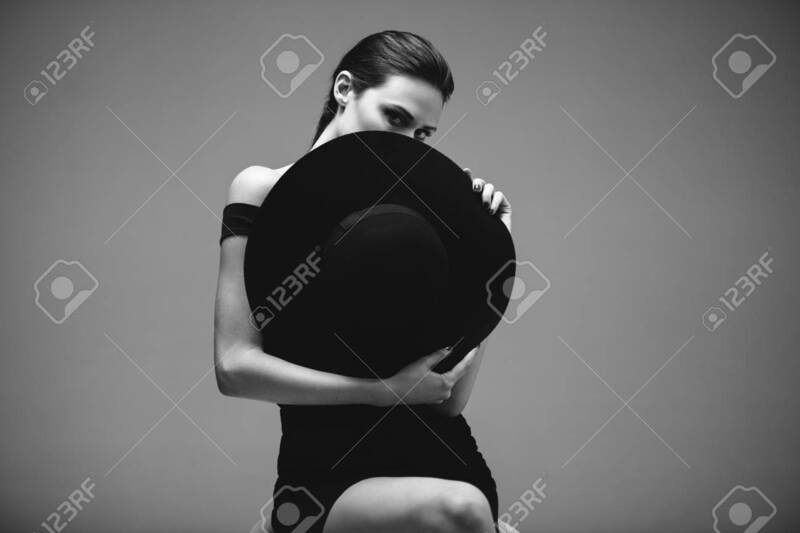 Stock Photo - Portrait of beautiful woman in black dress peeking through a hat in hand against grey background. Black and white image of a sensual woman with hat. Portrait of beautiful woman in black dress peeking through a hat in hand against grey background. Black and white image of a sensual woman with hat.